Aug 24 2018	Be the first to comment! Greg Sanders retired from his career in the oil industry in 2017. He and his wife Lisa, split their time between Anchorage and Anthem, Arizona. Greg was with ARCO Alaska from 1986-2000, then he worked for ConocoPhillips, Pioneer and Caelus Energy before retiring to focus on golf. From all accounts, Greg made a great decision, as he is winning tournaments around the country. He is also on the Board of Directors of the Alaska Golf Association and volunteers for the United States Golf Association. Most recently, Greg took the lead with an Eagle on the 9th Hole at the Alaska State Amateur Golf tournament on the same day as the ARCO Alumni networking event in Anchorage. Two days later, Greg earned his sixth Alaska State Amateur Golf tournament win at Anchorage Golf Course for his 7th State Amateur title. Greg earned his sixth Alaska State Amateur Golf tournament win at Anchorage Golf Course for his 7th State Amateur title. It’s been a good golf year for Greg, he also won the State Match Play tournament at Settlers Bay. In September 2017, Greg fired a 4-under par 68 to take the first round lead at the 33rd Pacific Northwest Men’s Mid-Amateur Championship. 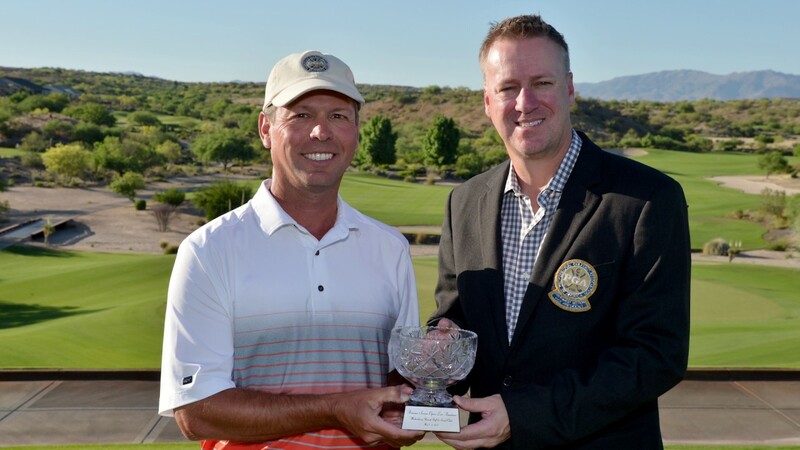 Being at the top of a leaderboard is familiar territory for Greg, who earlier that summer was on the verge of making it to the final match of the PNGA Master-40 Amateur when he had to concede his semifinal match on the last hole because of a prior family commitment. Greg and his wife Lisa will be travelling this coming year, visiting their first grandchild, playing more tournament golf as a first year senior amateur player, and spending some time away from the Alaska cold winter in the warm Arizona sun. Next year's goal may be to win the Alaska Senior Amateur and Alaska State Amateur in the same year. Good luck Greg.